InFocus has launched its entry-level Vision 3 smartphone in India. Th 4G VoLTE-enabled device features a 5.7-inch full vision IPS display with HD+ resolution. InFocus Vision 3 will be available at Rs 6,999 on Amazon starting midnight of December 20. InFocus Vision 3 is one of the few smartphones to offer an 18:9 aspect ratio display in Rs 7,000 price range. The screen is protected by a 2.5D curved tempered glass. The phone runs Android 7.0 Nougat out-of-the-box with company’s Smile UX skin on top. The Vision 3 is powered by 1.3GHz Quad-core MTK6737H processor, coupled with 2GB RAM and 16GB ROM. The storage is expandable up to 64GB via a microSD card slot. 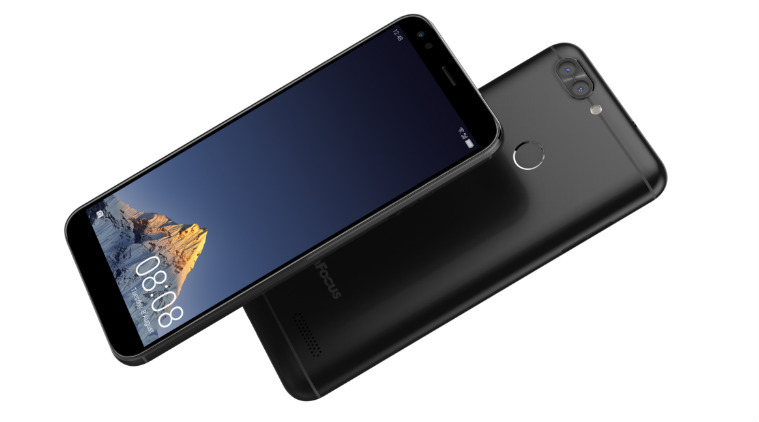 InFocus Vision 3 gets dual rear cameras, a combination of the 13MP primary lens along with a 5MP 120-degree wide-angle lens. The front camera is 8MP. The front and rear cameras can be used simultaneously to capture pictures, which are displayed side-by-side on the screen with the ‘Dualfie’ feature. InFocus Vision 3 is a dual SIM smartphone backed by a 4000mAh battery. Connectivity options on the Vision 3 include Bluetooth, Wi-Fi, a micro-USB charging port as well as a 3.5mm headphone jack. Sensors on the device include a rear-mounted fingerprint sensor, Gravity sensor, Ambient Light sensor and Proximity sensor. “The InFocus Vision 3 brings out the best of technology offering a full vision display screen, clubbed with a multitude of camera features along with the powerful battery. The idea of slim bezel display is to deliver a larger screen without actually increasing the dimensions of the phone, which we believe is going to a major trend in 2018 for smartphones,” Luo Zhongsheng, Global CEO for Sharp and InFocus Mobile said. Next articleHardik Patel Says, "I Did Win Seats For Congress In Gujarat"